It's been a year and a half since we met the Head Teacher, Julia Clark of Horniman Primary School at the Green Man Festival. Julia had this big idea to build a bicycle powered radio station in the school playground. A few months after winning one of three £5,000 prize funds, up for grabs in The Guardian 'Schools We'd Like' competition, Julia's dream came true and the Horniman Primary School Bicycle Power Radio Station was launched! This is an almost real-time system, so there are no batteries. Instead the pupil have to work together to provide a constant energy supply for the DJ by either pedalling the bicycles or turning the hand crank inside the shed. There is a little bit of storage in the shape of an ultra capacitor inside the shed before their energy is turned into mains power. The teachers plan to use the equipment for science classes and for engaging the children about renewables. 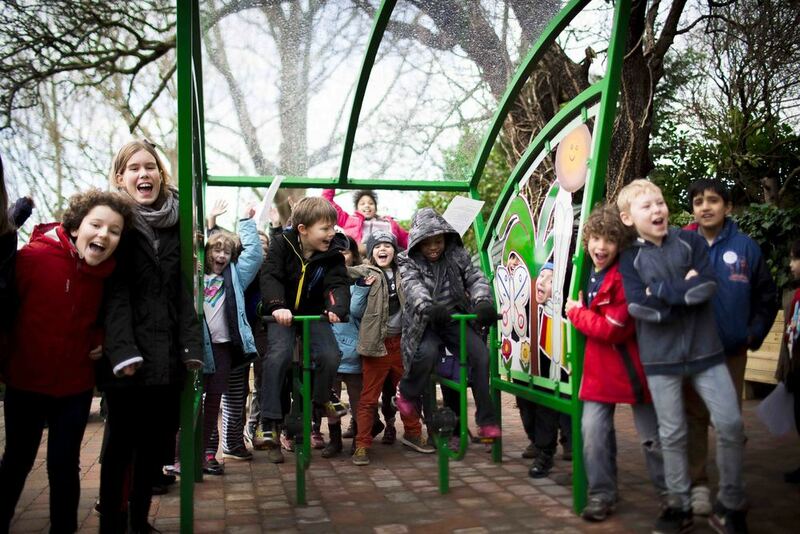 The project was a collaboration between artist Randy Klein, Horniman Primary School Students, Parents and Electric Pedals. Cycling to Make Hackney Sparkle!